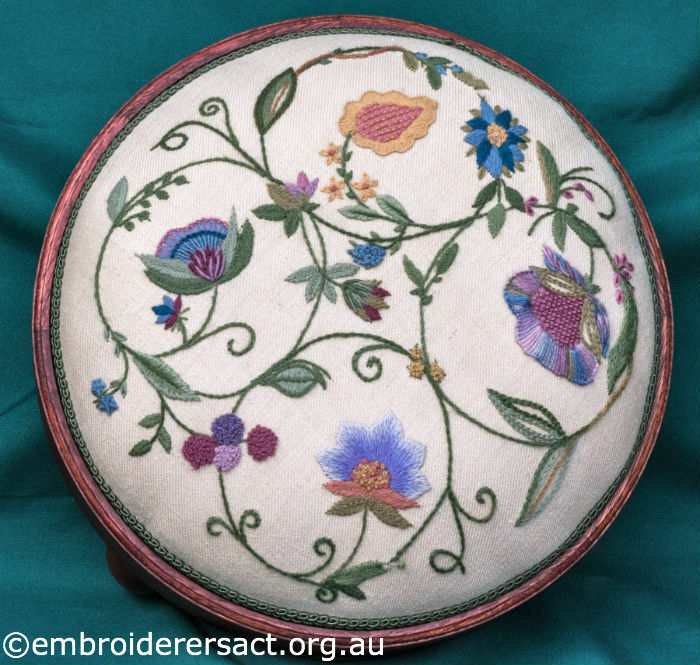 I have a round 38cm diameter stool I am wanting to embroider. The design area for the stool is 36-37 diameter. The cloth will need to be 51cm square. I would like to embroider it in Appleton wool, which I have a good stock of. I have been unsuccessful in finding a suitable design. Love this one. Is it possible to purchase the pattern, or the design printed on cloth.